Introducing our adorable Scentsy Gingerbread House (no mess) with matching Gingerbread Man ornament to hang on your tree! Love Scentsy? Join in August! Super-Sized Starter Kit! Are you in love with a great smelling home and car? Do you love Scentsy? Love Candles, but don’t love the carbon, soot & danger of a flame? Just now learning about Scentsy? Whether you have been considering starting your own home based business for some time or just now hearing about it…..NOW is the Time to JOIN our Awesome team and start writing your own Success Story. Scentsy offers flexibility for your schedule, plus unlimited potential for growth! If you work full-time and are just looking for extra income on the side, Scentsy is perfect for you – work your Scentsy business on the evenings and weekends, and you’ll be pleasantly surprised! Or, maybe you are looking to work your Scentsy business full-time, devoting your week – or maybe even during school hours while the kids are away! Scentsy is the perfect opportunity for anyone. It’s still only $99 to join in the US and $119 in Canada and during August you receive the SuperSized Starter Kit too……..so what are you waiting for? This is the launch of our busiest season of the year! We will be here to support and guide you every step of the way. It only takes about 5 minutes to JOIN and then YOU are a Scentsy Consultant! Introducing Scentsy’s New Fragrance Delivery System! THREE Beautiful Diffusers & 21 Natural Essential Oils! See our new Scentsy Diffusers and Essential Oils! We’re so excited to announce, coming this Fall, Scentsy Fragrance is offering a brand new way for our customers to enjoy our industry leading Scentsy fragrances. When viewing our new Fall/Winter catalog (available September 1st), customers will discover a brand new authentic product offering of gorgeous Scentsy Diffusers made specifically with our new Scentsy Oils! Our new diffuser and Scentsy Oils products are NOT available to purchase on-line until September 1st, but we are honored to be a part of a select group of consultants who can begin selling this beautiful new system on August 1st. To order you must email, call, text or message us personally to place your order during August. The Scentsy Diffuser is a fragrance experience like no other. Featuring the world’s most advanced ultrasonic nebulizing diffuser, a lifetime warranty, 16 LED lighting options, three mist options and artisanal interchangeable shades, it’s a stunning way to enjoy 21 new essential and 100 percent natural Scentsy Oils. Like Scentsy’s flagship Scentsy warmers and wax, the Scentsy Diffuser and Scentsy Oils are a simple system: Add water and your favorite Scentsy Oil to the diffuser reservoir and choose your light and mist options. The diffuser releases your perfect fragrance, carried in a microscopic mist, for an exclusively natural, full-bodied, immediate fragrance experience precisely matched to your desires. Though the system is simple to use and easy to enjoy, it will be an entirely different experience for our amazing customers. Essential oils have also been used for thousands of years for their spiritually and emotionally uplifting properties. Scentsy has always been at the forefront of bringing fragrance to the home and life. Now we want to bring ancient tradition to modern users, introducing millions to a total mind and body wellness they may never have thought possible. What is the difference between all 3? Scentsy Essential Oils consist of a single essential oil. Scentsy Essential Oil Blends are blends of more than 1 essential oils. Scentsy 100% Natural Oils are blends of two or more natural and essential oils. All Scentsy Oils are 100 percent natural and naturally-derived; no synthetic ingredients are used. Cedar Lemon Lavender – Intriguing perfume of warm, masculine cedar and reassuring lavender, awakened by the freshness of lemon. Chamomile Mint – At once calm and invigorating, this pristine blend of chamomile, spearmint and peppermint will restore a serene sense of purpose. Eucalyptus Lavender Mint – Soak in a fragrant whirlpool of relaxing lavender flower, uplifting mint, energizing eucalyptus and encouraging nutmeg. Ginger Orange – A vivid, tantalizing tango of energizing ginger and orange with playful mint and spicy cinnamon to naturally stimulate your senses. Grapefruit Orange Vetiver – A refreshing mélange of enlivened grapefruit and brisk orange, with mood-enhancing vetiver for earthy balance. Lavender Tonka Bean – Three of nature’s most sought after natural fragrance notes – lavender, tonka bean and vanilla – attuned beautifully in an ethereal, sweet and tranquil blend. Lemon Eucalyptus Bergamot – So clean it sparkles: fresh, herbal eucalyptus blended with revitalizing lemon, a splash of uplifting bergamot and a sprig of clean mint. Lemongrass Cucumber Lime – Drift easy beneath a refreshing veil of brisk lemongrass, cool cucumber and zesty lime. Rose Chamomile Lavender – Escape to a romantic garden path with billowing chamomile, spikes of lavender and lush, feminine rose notes long trusted for their soothing effects. Vanilla Cinnamon Clove – Settle into the welcoming warmth of vanilla perfumed by aromatic cinnamon and spicy clove in this nurturing natural scent. Tangerine Lemon – Purely bright and blissful, with elevating lemon, sweet tangerine and hints of crushed fir needles. Vanilla Nutmeg Cardamom – Satisfy your craving for warmth and comfort with this blend of sweet vanilla spiced with enlivening nutmeg and cardamom. We Know Our Customers Will LOVE the New Scentsy Diffuser and Aromatic Oil Mist Delivery System! After tallying millions of votes from dedicated Scentsy fans, we’ve identified our 20 winners. These “retired” fragrances have emerged from the vaults to become Scentsy Bars during Bring Back My Bar January 2015. These beloved fragrances will only be available during the month of January, so stock up before they’re gone! Want all 20 retired Scentsy scents? 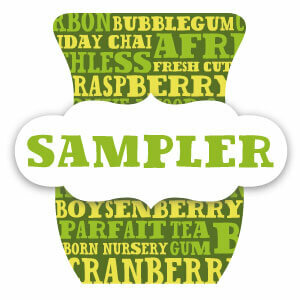 You can purchase the sampler! Autumn Stroll Peppery cinnamon mingles with dusky plum and warm incense to create a spicy and comforting fragrance. Banana Nut Bread Right from the oven with ripe bananas, nuts, and spices. Coffee Tree Bold and sophisticated. Wake up to the rich aroma of freshly roasted coffee beans. Cucumber Lime Cool, refreshing blend of mellow cucumber and tangy lime. This is a light clean scent. It was always my go-to gift to give with a warmer. Eggnog Warm spicy tones of nutmeg, rum, and cream — this scent is a real holiday favorite. Falling Leaves An earthy blend of clove, cinnamon and patchouli. Grape Granita Sun-warmed grape and pineapple with undertones of honeysuckle. Hemingway Rich, ripe apples and warm, woody accents of sandalwood and cedar with hints of spice. This has always been one of my most popular Scentsy Man Scents. Great year around, in a man-cave or to cover the cigar smoke! Lavander Vanilla Relaxing mix of hillside lavender, vanilla beans, orange zest, and patchouli. My Home (Also Known as Home Sweet Home)Spicy cinnamon and floral scent — a must try! My Wish A confection of earthy fig, sweet violet and playful marshmallow will have you wishing for more. Pima Cotton A light, clean blend of lilies, freesia and jasmine.A favorite for those who love the clean laundry smells. Pomegranate Ice Juicy pomegranate and sweet berries with cool, bracing peppermint. Rustic Lodge Warm fragrance of cedar, oak, and musk with traces of wood smoke and fallen leaves. I have been told by many of my customers this is the most true pine scent. Rustic Lodge really smells like the forest! Sandalwood & Cranberries Exotic sandalwood, sweet cranberries and spice. Spiced Grapefruit Mandarin and bergamot citrus perfectly balanced with spicy coriander, nutmeg and allspice. This was one of my first Scentsy frangrances (and the first for some of my friends & customers) and still one of my ALL TIME FAVORITE scentsy scent. This is reminds me of winter, the smell of the oranges with cloves that we used to make when we were little. Twilight A lovely, sophisticated scent, infused with soft romantic florals and ocean air. This is a clean scent but still on the romantic side. Customer favorite. Watermelon Patch Sweet, vine-ripened watermelon. Wild Black Cherry A sweet and juicy black cherry, like an old-fashioned black cherry soda. Scentsy Bricks – Holiday Brick Bazaar! Bricks are available for $20 each, OR get your Bricks half-price or FREE when you host a qualifying party in November! Only 25,000 *numbered* Nutcracker Warmers are available! The traditional guardian of good luck and goodwill, this 2014 limited-edition, numbered Nutcracker is an iconic symbol of Christmas. This spirited Scentsy Warmer is paired with a matching 3-inch Christmas Ornament to adorn your trees for years to come! Toss a cube of your favorite Scentsy yuletide fragrance in the Nutcracker’s hat,and welcome the Holidays into your home! Hurry, though, the 2014 Nutcracker is only available while supplies last through my website (click HERE), with a limit of one Nutcracker per order. Cancun with Scentsy – Will you be there? Scentsy has announced the Summer Incentive “Can-Do Cancun! Join our awesome team this month and have opportunity to earn an all-inclusive stay at the Moon Palace Spa Resort in Cancun, Mexico! Join usi January 2015 for the Scentsy Family Cancun Trip! A fabulous trip, everything included, even the flights! Just another example of how Scentsy can change your life. We can personally testify that the $99.00 we spent to launch our own home based business was definitely the best $99.00 we ever spent! If you are looking for a fun & rewarding oppportuntiy to earn extra income and totally awesome incentives while enjoying the flexible hours and the satisifaction of connecting people with products you love, Scentsy is your answer! If you think you might like to go to Cancun yourself, for FREE, just join our team and we will support and mentor you to help YOU earn the trip! Browse the FAQS tab on our website and contact us with any additional questions or just jump in and take a “leap of faith”! You’ll be glad you did! YOU too CAN earn this trip of a lifetime! Qualifying months for the Can-do Cancun Incentive are May, June & July 2013, so Join today and let’s get started right away! Once you’ve started your journey, you will receive an email from us with details on getting your business off to a running start – and you’ll also have access to our private Team Group on Facebook, where you can turn to for advice, help, and family! be sure to also like us on Facebook too! Celebrate Mother’s Day with Scentsy! Fresh flowers from the garden. A day at the spa. A decadent dessert. Give your mom, or any special person in your life, fragrances to remind her of all three — plus a versatile, classic Lampshade Collection Warmer — this Mother’s Day! A $55 value, the Mother’s Day Bundle is just $40 from April 15 to May 31, 2014, or while supplies last. And it can be purchased using Host Rewards, including Half-Price Host Rewards and Host Credit, offering an even deeper discount! Celebrate your mom this Mother’s Day — or just because! Spring means Mother’s Day is drawing near! What a beautiful way to celebrate Mom and all the other special ladies in your life. with Cherry Blossoms and Sugared Blooms! Don’t stop at Mom only……this is a beauty for every home and office. What a great wedding gift, graduation gift or any day gift! Spring is in the air…….is it time to update the fragrances in your home, work place or vehicle? Check out our new and returning scents for the season!